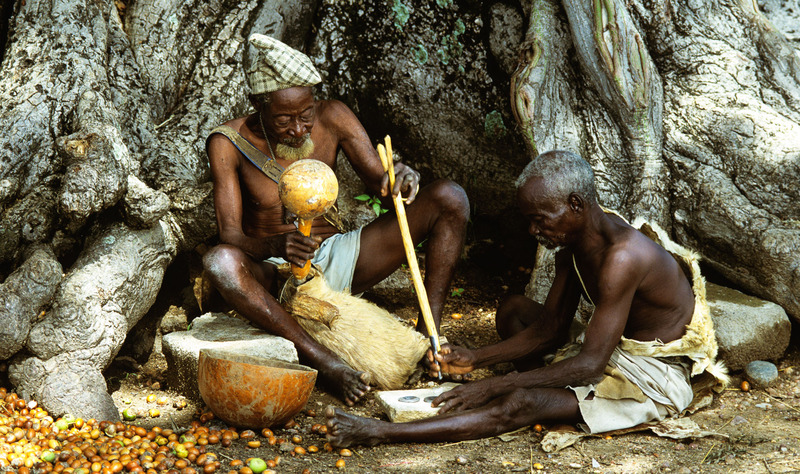 Diviners play a key role in Kassena hunting. Using a forked stick and a stone divining board, a Kassena diviner communicates with the ancestral spirits on behalf of a hunter. Paid in advance with a quantity of shea nuts, he answers questions about which day is propitious to begin the hunt and which animals should be pursued.